* Raw foods contain enzymes which are responsible for every movement, action or thought of the human body and mind. Without enzymes, life would not be possible. 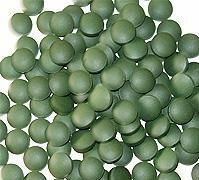 * Spirulina and Chlorella are the two most powerful whole foods in the world. They are perfect proteins and have the broadest array of nutrients of any foods. * Hydration, alkalization and detoxification are the three keys to preventing and curing us of any disease. 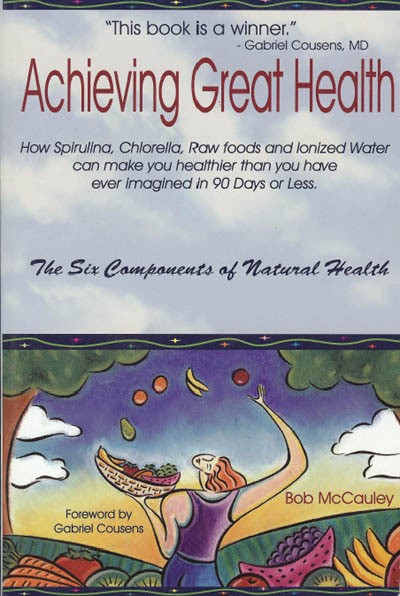 * Raw foods are alkaline and rejuvenate the body by providing the body with nutrients that have not been either destroyed or chemically altered by cooking. * Regular vigorous exercise is essential if we wish to achieve robust health. We should work each of our 650 muscles every day. * Cultivating a positive mental attitude is also critical to our health. Self-doubt can destroy your efforts with the force of split atoms. Have faith in yourself and what you can achieve and a hero that others will want to follow will appear in your mirror one day. Great Health gives us confidence, vigor, purpose and even more importantly it gives us hope. Book: Confessions of a Body Builder: Spirulina, Chlorella, Raw Foods, Ionized Water, etc.